As Bitcoin matures, startups are popping up left and right. All of them are hoping to hit it big with their product or service. For those who use bitcoins to gamble, these companies often provide interesting tools that make their online experience easier and more secure, such as a new Bitcoin wallet or a Bitcoin exchange that makes trading in bitcoins for cash easier. The new Bitcoin startups that would interest Bitcoin gamblers are 21 Inc. and KeepKey. 21 Inc. offers the 21 Bitcoin Computer, which is an excellent development platform and introduction to the Bitcoin phenomenon for many. 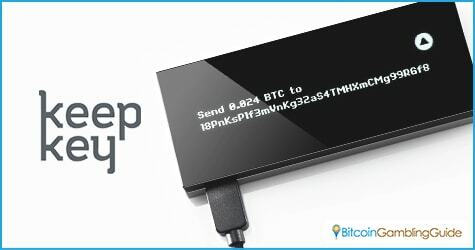 KeepKey, on the other hand, delivers a secure tangible Bitcoin wallet. The device would be an excellent place for a Bitcoin gambler to store their hard-earned gains. 21 Inc., the company behind the 21 Bitcoin Computer, is one of the most well-funded startups in Bitcoin history, and the hype around their product is quite high. Released last September, the computer itself is built around a Bitcoin mining chip. Although the package costs about $400, many have bought the device already. The main reason the 21 Bitcoin Computer would be important to gamblers and even casino operators is that it may be the source of many potential apps in the future. 21 Inc. packed the device with as much content and features possible to facilitate its easy usage. On the hardware side, the 21 Bitcoin Computer has a 128 SD card, a WiFi adapter, and a USB adapter. In software terms, the SD card is filled with the Bitcoin protocol, along with a small library of apps that can introduce developers to the platform. 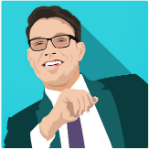 What is great about 21 Bitcoin Computer is that it makes it easy for people to enter the Bitcoin community. The APIs included in the computer are all in Python 3, allowing for easy learning and programming. There is even a game in the library and it illustrates how a developer can integrate Bitcoin payments directly into the app. This is important for online gaming and people can expect new gambling sites featuring games developed on the 21 Bitcoin Computer. Additionally, the Bitcoin computer can help encourage micro betting. 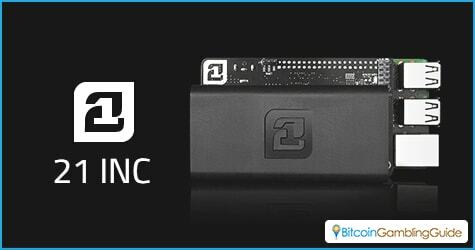 The main premise behind 21 Inc. is that an embedded chip in any Internet-capable device can be used to mine bitcoins. The amount would not be large, but the flow of bitcoins can result in small payments or bets being made. With the rising demand for Bitcoin hardware wallets, KeepKey’s offering is more straightforward for gamblers. As a secure offline wallet, Keepkey ensures that a user’s winnings are safely hidden away. After all, with the large amount of data breaches and security failures, many people do not want to lose their money. KeepKey ensures this by bringing bank-level security to a personal level. All transactions go through approval from the owner and private keys are not shared. Passwords and encryption provide another layer of protection against online thievery. These two are just a few examples of what is available on the market. People can expect more as Bitcoin becomes bigger and more entrenched in daily life.